I was looking at my Steam library the other day and wondering what had become of the post-apocalyptic title called Miscreated. Although it debuted back in October of 2014, I hadn’t really dabbled in it since it came out. 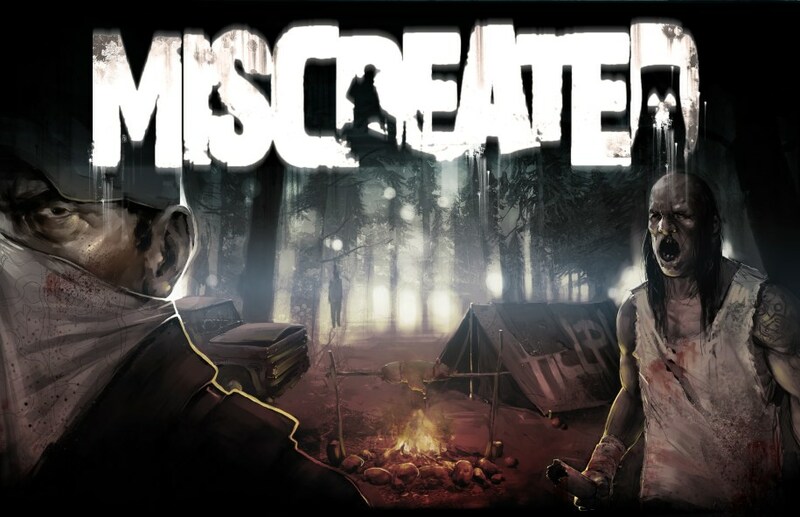 By many accounts, Miscreated was purported to be the DayZ killer app. However, when I tried it out the game’s world wasn’t that big and there were many placeholders for content that the devs, Entrada Interactive, intended to implement in future patches and updates. After going over some of the more recent update notes I decided to give Miscreated another go, and boy, am I glad I did. I must have picked the perfect time because the most recent patch (officially Patch #60) added in more base storage. This may not seem like a big deal to most people but Miscreated has long been stifled by the game’s lack of storage options for players. Since you used to only have a very limited amount of storage many people took to kill-on-sight measures in order to have the best chance of getting the best weapons and other items on a server. The alternative was to gather as many vehicles (quads, cars, trucks, whatever) within your base and stock them with all of your extra equipment. It was a ridiculous workaround that had many people’s base’s looking like run-down trailer parks. For those not in the know, Miscreated is a post-apocalyptic survival game much in the same vein as DayZ. However, Miscreated sports a much better netcode as well as less frame-skipping for an overall smoother experience. It does have PvE elements just like DayZ but instead of warding off zombies you’re constantly having to deal with different types of mutants as well as dangerous wild animals. Miscreated’s environments also blow DayZ out of the water. The way in which everything is so meticulously detailed makes it look like you’re actually rummaging through rust-laden towns, old dreary warehouse compounds, and lonely and foreboding forests. Miscreated’s weather system is also something to marvel at. There are some extremely well-done thunderstorms, tornados (which can really mess up your day if you’re caught in one), fog embankments, and now even radiation storms. 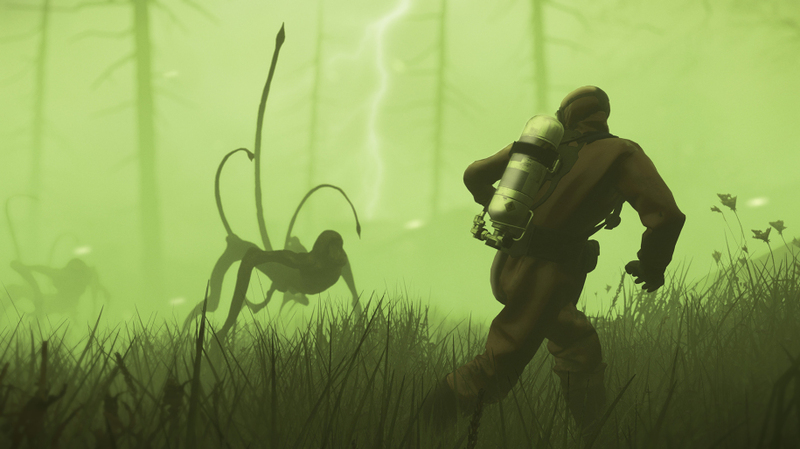 The addition of radiation storms makes every play-through especially harrowing. For instance, I was a few hours into a game and scavenging through a town for weapons and other equipment when my Geiger counter started going off. Another player spotted me and began shooting at me but I jumped down into one of the new cellars underneath a nearby house just as the rad storm began flowing throughout the town. I hid in a corner behind some boxes with my shotgun (with all of three rounds) aimed at the cellar door. All of a sudden I heard some screams outside and then silence. Only after I was certain that the storm had passed, and the radiation had subsided, did I open the cellar door and peek into the house. There was the body of my assailant, now dead, not far from the cellar door—he’d been turned into a desiccated corpse by the radiation. 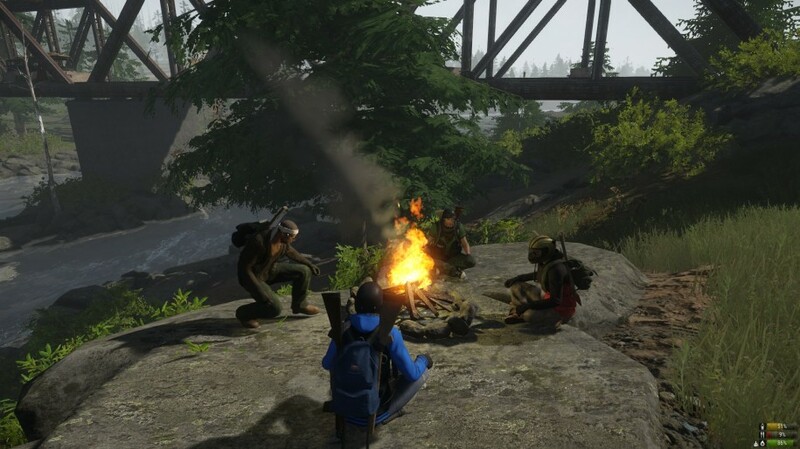 Yes, PvP in Miscreated is still very alive and well. However, with the additional storage considerations most of my encounters with other players have been friendly (or at least non-aggressive). Much more so than they had in the past when I remember getting bushwhacked routinely. In fact, it became so bad at one point that it was heading into Rust territory. Now you know that’s toxic. They’ve also added some new AI threats including a creepy looking mutated spider/human hybrid. It sort of reminds me of one of those creatures in The Thing science fiction/horror film franchise. These new AI elements dramatically add to the PvE aspect of Miscreated because you’re not as focused (at least not as constantly) on other players. The map has been expanded dramatically since I last played. They’ve added a new dock area north of Hayward (the biggest urban area on Miscreated’s Orca Island map), complete with cargo ships, new residential bunkers (spread throughout the map), new log cabins, as well as makeshift bunkers. The bunkers, in particular, offer some welcome respite from the dangerous rad storms. 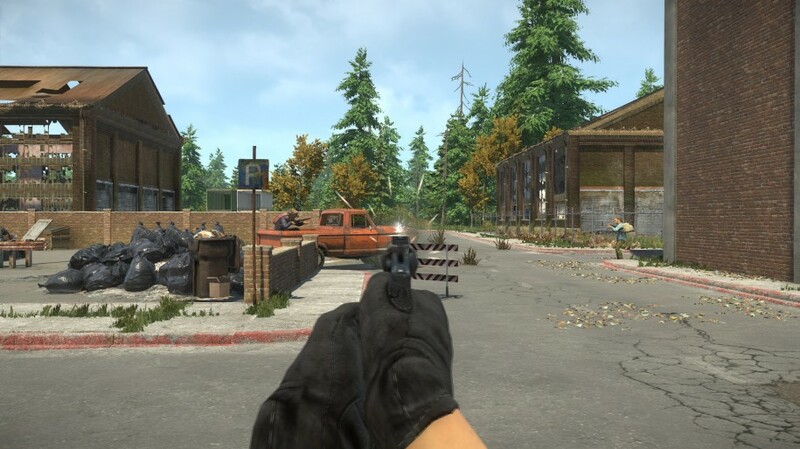 Miscreated has come a long way since its debut three and a half years ago. 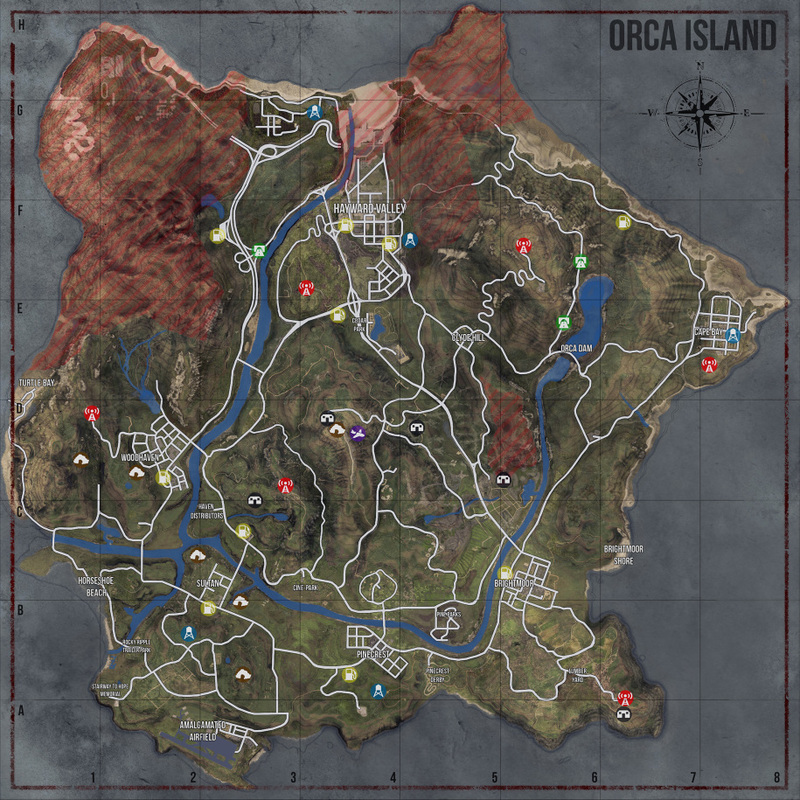 The main Orca Island map is about 85% complete and the devs have stated their intentions for making an additional new map soon. 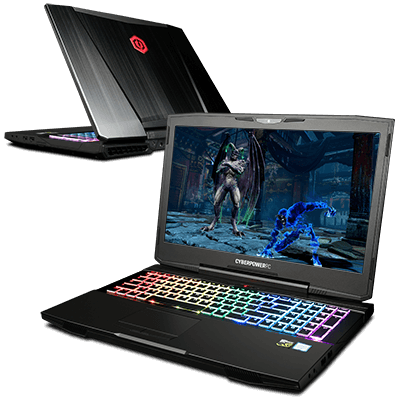 Try it out during Stream’s current Summer Sale and see how you like it for yourself.